Across 2 Cultures - Cross-Culture Parenting and Lifestyle Blog: We're featured in Canadian Family! We're featured in Canadian Family! 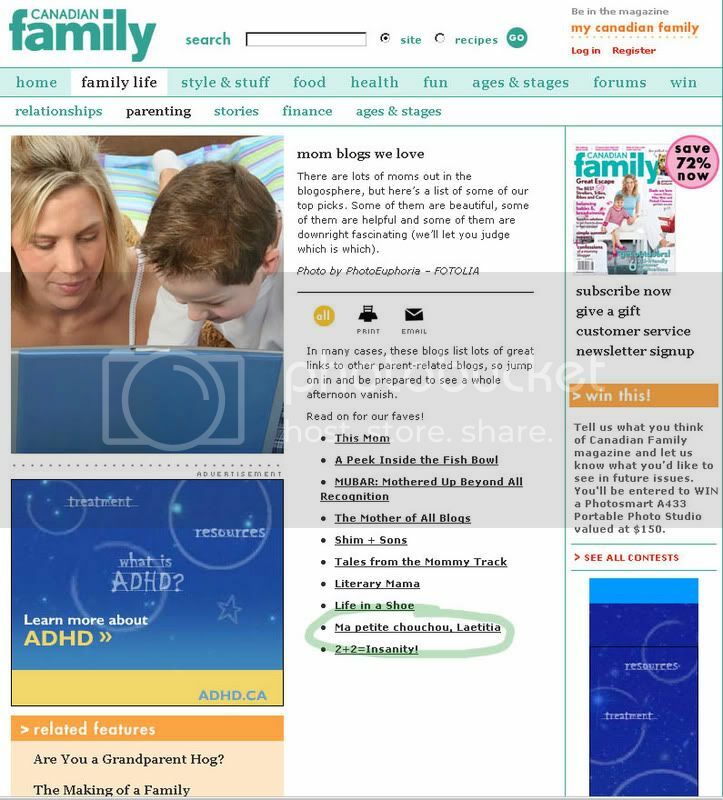 Our blog has been featured in the Canadian Family website! And I believe it is going to be in the magazine too. How exciting. I uploaded a screen shot of the article on the website that mentioned this blog for keepsake. If you click on the picture it will take you to the article itself. A day out and her new carrier. What has Laetitia been up to? Laetitia off to the south of France again. Typical menu in Laetitia's day.